The perfect hilltop retreat in the Island of Gods. Welcome to Park Hotel Nusa Dua, Bali. 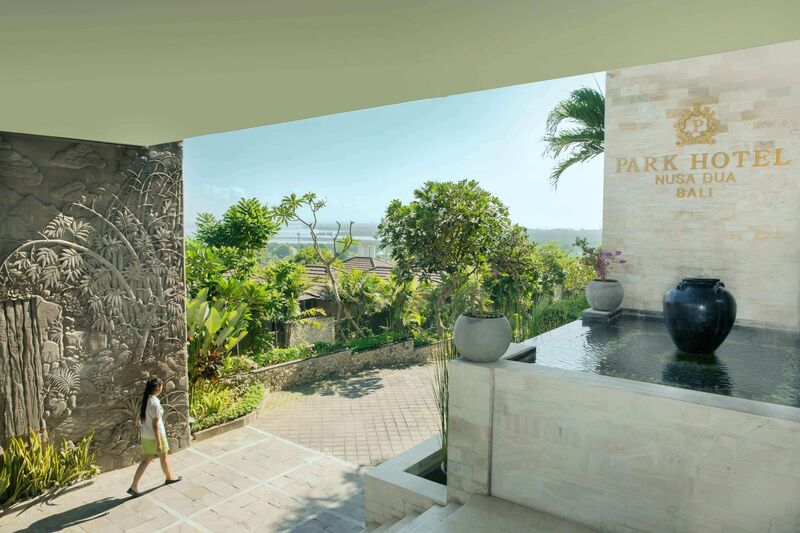 Park Hotel Nusa Dua, Bali nestled atop Nusa Dua hills offers breathtaking views of Benoa Bay and Bali Sea. The hotel's 151 rooms and 39 villas are well-appointed with modern resort amenities. Dining and entertainment options comprise a rooftop restaurant and lobby bar. For romantic wedding celebrations or corporate functions, the hotel's ballroom and two meeting rooms, complete with a team of dedicated meeting specialists, will ensure an event like no other. Book early and enjoy our special online rates. Save Up to 40% off our Best Flexible Rate on 45 days advanced bookings – EXCLUSIVE TO THIS SITE Up to 10% off our Best Flexible Rate on 30 days advanced bookings Book your stay directly with us and be rewarded with 7 exclusive benefits. Experience the tranquil harmony of space and calm the moment you step into our suites & villas. Overlooking views of Benoa Bay and Bali Sea, our 151 suites & 39 villas are perfect for family getaways providing the expansive space that family requires and perfect private space the couples long for.